Back in 2001, Filippo Sapino retired from his position of managing director of Ghia S.p.A after over 30 years with the company. During this time he oversaw the development of production cars and wild concepts as well as forging a long partnership with Ford Motor Company. Yet before his illustrious career at Ghia, Filippo spent a couple of years at Pininfarina where he enjoyed great freedom of creativity. It was during this short time that he penned what is undoubtedly his finest creation, the 1969 Ferrari 512S Berlinetta Speciale. 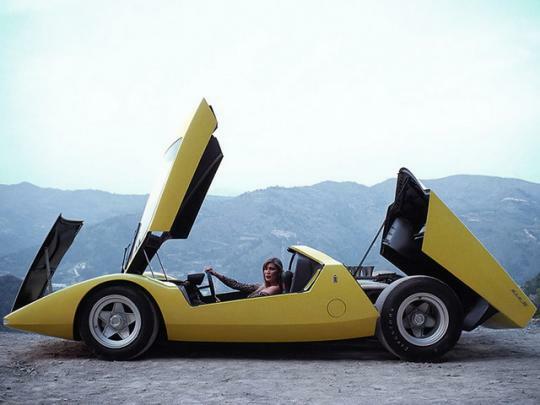 Unveiled at the Turin Auto Show in 1969, the yellow wedge began its life one year earlier as a stunning Ferrari 312P Spyder race car, chassis number #0868. It was raced successfully over six months until the 1000km of Monza where the car was badly damaged. Rather than rebuilding it, Ferrari instead donated the remains to Pininfarina. This was the perfect opportunity for the designers to let their creativity go wild and Sapino's design won the competition. Time proved that Sapino's proposal might have been the prettiest if not necessarily the wildest. 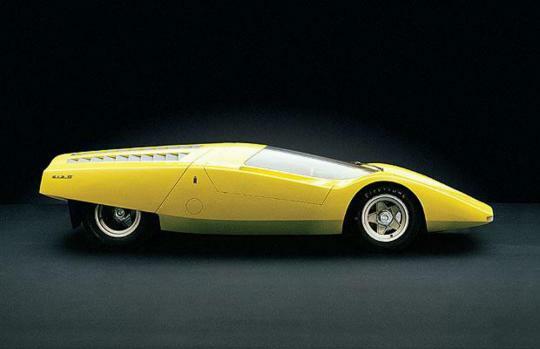 Sergio Pininfarina was also very fond of another proposal by Paolo Martin. 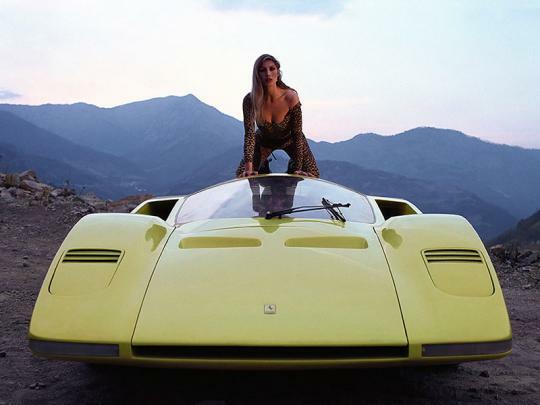 That car would become the seminal Ferrari Modulo a year later. The 512S looks astonishing from every angle, but it's in side view that Sapino's virtuosity really shines. First off, all the lines meet at its pointy nose and this simple construction creates a harmonious unity of graphics and volumes. The two lines that dance along the body follow a unique diamond theme, forming a mechanical abdomen, made even more dominating and heavy as it partially covers the rear wheel. The cabin and the engine compartment are contained within a rounded volume that bulges slightly out of this geometric lower body. Finally its tail appears so much higher than the rest of the car, looking ready to jump like a dog who wants to play ball. But the Berlinetta's most striking feature is its flip-up panoramic canopy, which replaces traditional doors. This is balanced by the race-inspired engine cover that flips rearwards, creating a dramatic opening ceremony. Large air intakes on each side of the cabin, and long rectangular slats on the engine cover provide cooling to the engine. Although it was based on a 312P, and called 512S, the engine was neither a 3.0-liter nor a 5.0-liter V12. 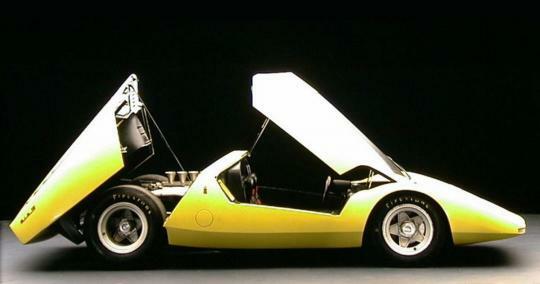 Instead Ferrari provided Pininfarina with a 6.0-liter V12 from a 612 Can-Am racer, but sadly only an empty engine block. So, despite its spectacular looks, the 512S never moved under its own power, and instead Sapino's masterpiece was dragged to its photoshoot location by an earth mover. Here's a look at the interior. You need really looonng arms to drive this. The canopy doors are not as cool as the Maserati birdcage concept or Saab Aero X Concept, but still looks ahead of its time considering the era.